In 1991, Almighty God incarnate appeared and began to work in China. He has expressed several million words, and has been doing the last days’ work of judgment beginning with the house of God. He has ended the Age of Grace, begun the Age of Kingdom, and ushered in the gospel of the arrival of the kingdom of heaven. Almighty God has expressed all truths to purify and save mankind, thoroughly opened up the sealed scroll in the Book of Revelation in the Bible, completely revealed the mysteries of the six-thousand-year management plan of how God saves the human race, such as what the purpose of God’s management of the human race is, why there are three stages in God’s salvation of the human race, how God does the work of judgment in the last days, the mystery of incarnation, the inside story of the Bible, God’s unique authority, God’s righteous disposition, the holiness of God, how Satan corrupts the human race, how God saves the human race, the mystery of being raptured before the disasters, how the overcomers are made, the final destination and end of various categories of people, how Christ’s kingdom will be realized, etc. It has truly opened up new horizons and feasted people’s eyes! Almighty God says: “I will tell you this when I open My scroll in the last days. (The scroll refers to all of the words that I have spoken, My words in the last days—this is all inside of it)” (“The One Hundred and Tenth Utterance” in The Word Appears in the Flesh). “The work in the last days lays bare the work of Jehovah and Jesus and all mysteries not understood by man, so as to reveal the destination and the end of mankind and end all the work of salvation among mankind. This stage of work in the last days brings everything to a close. All mysteries not understood by man needs must be unraveled to allow man to plumb them to their depths and have a completely clear understanding in his heart. Only then can the human race be divided according to their kind” (“The Mystery of the Incarnation (4)” in The Word Appears in the Flesh). The words expressed by Almighty God, Christ of the last days, are abundant, fruitful, and comprehensive, allowing people to see that Christ certainly is the way, the truth, and the life, and that He brings the human race the everlasting way of life, the way of eternal life. The Lord Jesus said: “My sheep hear my voice, and I know them, and they follow me” (Jhn 10:27). “He that has an ear, let him hear what the Spirit says to the churches” (Rev 2:7). Almighty God says: “My people will listen to My voice, and each and every one of those who truly love Me shall return before My throne” (“The First Utterance” of God’s Utterances to the Entire Universe in The Word Appears in the Flesh). Ever since Almighty God’s work of the last days began in mainland China, people from various religions and denominations who truly believe in God, love the truth, and yearn for the appearance of God, have recognized the voice of God in the words spoken by Almighty God. 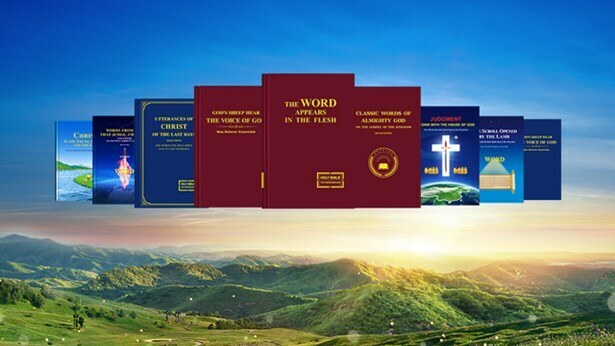 They have seen that the words of Almighty God are the truth, and really are what the Spirit says to the churches, and that God has appeared to do His work during the last days. These people have flocked in front of God’s throne. Nowadays more and more people the world over are seeking to investigate the words and work of Almighty God. The human race has gradually been revived in the words of God, and has begun to accept the truth and to know it. The words of God will bring the human race into a new age—the Age of Kingdom. All will be achieved by the words of God, and all people who thirst for the truth and seek the appearance of God will return before the throne of God. This is the great trend; it is the reality that God will certainly bring to fulfillment. At present many people in the whole religious world thirst for and seek the appearance of God, but because they don’t emphasize the search for what the Spirit says to the churches, they do not hear the voice of God and can’t welcome God’s return. We have taken the truths of the vision expressed by Almighty God in His work of the last days and compiled and edited them into the twenty truths of spreading the gospel and bearing witness to God so that people in all countries and places who seek the truth and thirst for God’s appearance can easily study and investigate the last days’ work of Almighty God, hear the voice of God and be brought into His presence. We have arranged the words of God and sermons by the man according to the common religious conceptions of the seekers, to help them see clearly the absurdity and preposterousness of religious conceptions in light of the truth from God’s word. Thus people can cast off the religious conceptions that have bound and restrained them, and accept the salvation of God in the last days and be brought before the throne of God, and they can follow the footsteps of the Lamb and enter into the kingdom of God. Thanks be to God for His guidance and leadership as we compiled this book. All glory be to Almighty God! Next：Question 1: We believe that the return of the Lord means that believers will be raised directly up into the kingdom of heaven, for it is written in the Bible: “Then we which are alive and remain shall be caught up together with them in the clouds, to meet the Lord in the air: and so shall we ever be with the Lord” (1Ts 4:17). You testify that the Lord Jesus has returned, so why are we now on earth and not yet raptured?